2017 is just flying by, I can't believe it's already April! This time next month I will be finished with my second year of university. 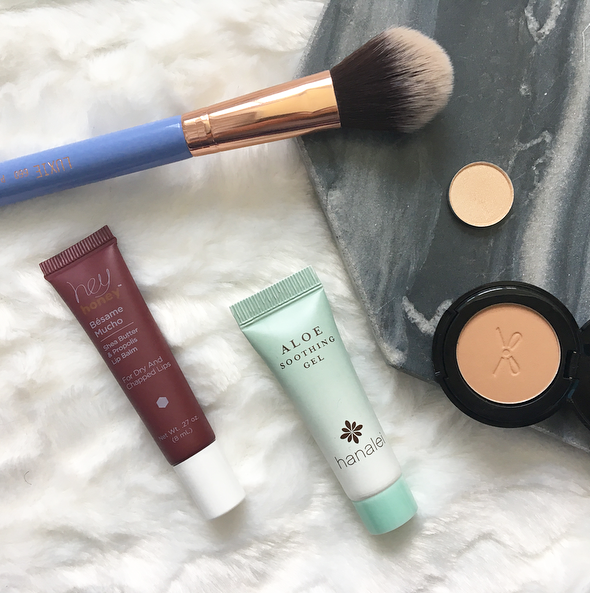 My April bag showed up much earlier than usual, so I have had a chance to test out some of these products. I must say that I really dislike the actual bag this month; it's shaped like a movie ticket and I can't imagine ever using it. Anyway, onto the review! I always love trying new lip balms, and I've really liked the products I've tried from Hey Honey, so this was bound to be a winner. It goes lightly on the lips and smells faintly of vanilla. The packaging also looks really luxurious. I've got to say, I've gotten a few Elizabeth Mott in past Ipsy bags and their sample sizes rival the minuscule ones that theBalm sends. It makes me tempted to just throw it away, to be honest. The formula is pretty good, a little powdery, but the color reminds me of MAC's Nylon so it will be nice to highlight with. It's a bit early for me personally to use a product that I would usually only use after sun exposure, but this will be nice for traveling in the summer! I always manage to get burned somehow, and aloe gels are the perfect remedy. For those of you who struggle to find a light, warm, matte bronzer, this might be for you! 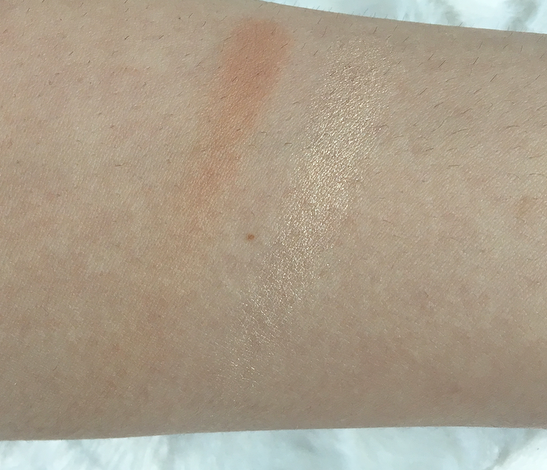 It's definitely the lightest shade that I have, it's just barely darker than my skin so it gives a very natural look. Honestly, does anyone ever have enough makeup brushes? I'm always happy to get more! This one has a pretty periwinkle blue handle and is very soft, and fluffier than I would expect from a foundation brush. I think I would be more likely to use it for blush or highlighter. Would you be excited about any of these products? 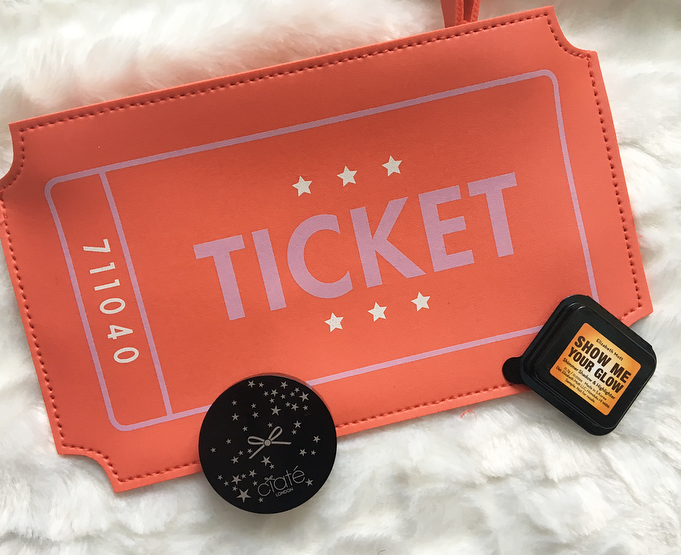 10 comments on "April Ipsy Bag Review"
The bag is super cute, I mean I'd probably use it in other bags but definitely not alone haha. The brush looks so fluffy, never tried their stuff before though! The highlighter is so nice and it would be nice to use it as an eyeshadow too!! And how cute is the bag!! Show me your glow is really cute! Love the look of the Luxie brush! Definitely looks better for highlight than foundation! I can't believe it's April either! That bag is absolutely adorable! It's a shame that the Elizabeth Mott sample is so teeny. The swatch looks so pretty! And no you can really never have too many makeup brushes XD The more you have the less often you have to wash them!